Three years ago, the Cleggeron regime pledged itself to become the greenest government in history. Heading this mission was the criminal liar Chris Huhne, then the Energy Secretary. Well, a bit like Mrs Huhne, few believed them then and even fewer do now. After a litany of half-hearted greenwash window dressing to try to disguise the bankruptcy of their environmental commitment (remember that the majority of Tory MPs don't even believe climate change is happening), the Coalition has now delivered the final blow to its tattered credibility on tackling the global warming crisis according to newly released Government figures. In 2011 to 2012, a surge in use of cheap coal has increased UK carbon emissions by a staggering 4.5%, a rise of over 19 million tonnes of carbon dioxide (and overall with five other "greenhouse gases" the rise in total emissions is 3.5%), which thicken the atmosphere, trap the sun's heat and warms the planet. In spite of claiming even now to be delivering the greenest government ever, the Coalition has stripped schemes such as the community owned renewable energy feed-in tariff of any genuine support and undertaken a programme of roadbuilding which will significantly increase emissions once completed by encouraging greater use of cars. The recession has been touted by some, especially the Chancellor George Osborne, as a good chance to stop investing in renewable energy. In spite of the issue being a global emergency, the Government seem to think action can wait - a sharp contrast to Scotland, where the SNP Government is on target to meet a 100% renewables target for electricity generation nationwide by 2020. 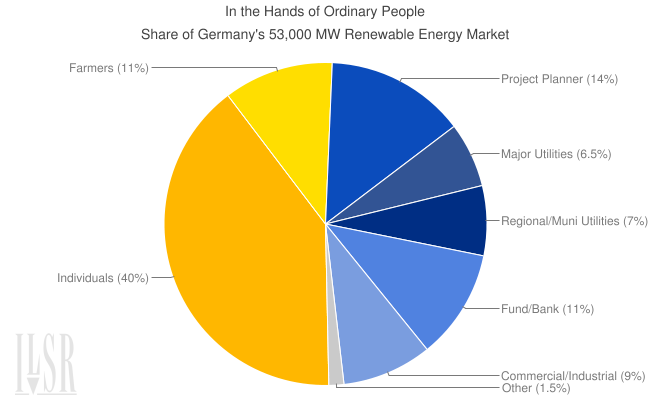 Likewise, as posted a few days ago, Germany continues to lead the field (and investment) in renewables at a staggering pace. With global warming continuing apace, and even the current freezing British weather attributable to the impact of rising temperatures on sea ice melt, the need for action has never been so urgent. However, the only green in this regime is the mould encrusting their ideas and the gangrenous stench emitted by their puffed up claims of supposed concern and action. Time is passing too quickly to delay any longer. And the Coalition, in this area as well as many others, is simply not fit for purpose. "Modern Times" was written and directed by Charlie Chaplin and released in 1936; but true to its title, it is as relevant now as then and stands as a testament to the genius of a man stereotyped in the popular imagination as the clown Tramp, ducking swinging ladders and falling into water troughs. Even more than later great offerings, this film shows just how deeply thoughtful and humane his work was, taking huge risks to bring to the commercial screen a story that partly through its comedic nature but also because of its very serious undertones, powerfully decried the injustice that so affected his view of the world. 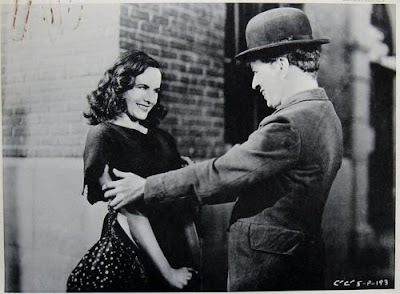 It was Chaplin's final silent movie and co-starred his then-partner, Paulette Goddard. Inspired by a combination of a tour of Depression-era Europe and a long conversation on industrialisation with Mahatma Gandhi, it was also his first and decidedly most overtly political film, and part of the case against him when Senator Eugene McCarthy hounded him out of the USA nearly twenty years later. A deeply humane film, combining slapstick comedy with powerful political commentary, Modern Times tells the story of the iconic Tramp character struggling with life in an increasingly frenetic, competitive and commodified world. He is a cog in a giant machine - literally, in one memorable sequence in the steel mill he works in at the beginning. Modern Times was filmed not only at the height of the Depression, which ruined so many lives and ultimately provoked global conflict; it was also crafted not long after the advent of Taylorism, which in the name of efficiency reduced the human input in manufacturing to the simplest and fewest individual steps possible. F W Taylor, lauded by modernists from Henry Ford to Vladimir Lenin, advocated a world where there was little creativity or individual realisation: a worker would perform repetitive tasks ad nauseam in order to obtain mass efficiencies of scale for their employer. Divorced from the ultimate product of their labour, deskilled from any craft or profession, and completely and rapidly replaceable, the Taylorite worker would be docile, obedient and cheap. 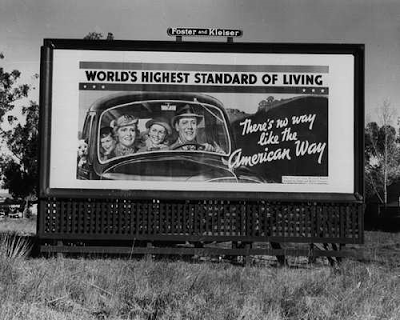 Ford adapted this theory only in as far as paying high enough wages that he could create and sustain a market for what was produced - a useful and now largely forgotten concept, but one that nevertheless remained in essence as exploitative and debilitating as Taylor's more fundamentalist approach. And so, after an initial sequence where a herd of sheep is juxtaposed with a crowd of people heading to work, we see Chaplin's character driven to distraction as he repeatedly tightens bolts on an assembly line while the factory owner does jigsaw puzzles in his luxurious office. The workers' toilet breaks are monitored by video (a strikingly futuristic concept for the time) and the employer is keen to try out the "Bellows Feeding Machine" on Chaplin. This automatic device promises to feed the workforce without them needing either a lunch break or even the need to breathe: eliminate the lunch hour and stay ahead of your competitors! the sales pitch proposes. 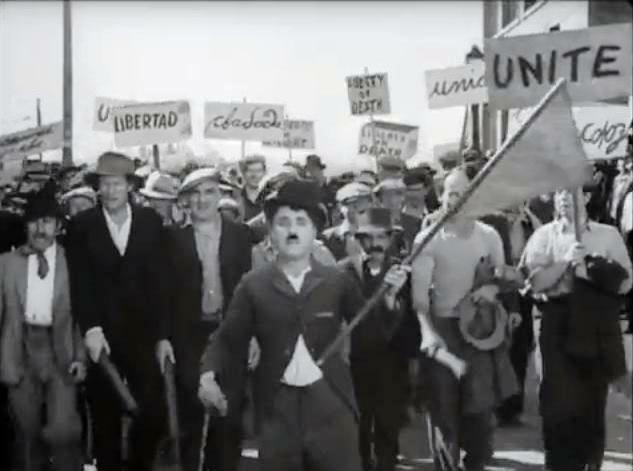 The trial needless to say provides a platform for some amusing slapstick comedy which leaves Chaplin appearing like Hitler on acid, but the more serious point is made and The Tramp is sacked after having a nervous breakdown. Out of work, he is accidentally mistaken for a Communist, a crime in the supposed Land of the Free, and incarcerated, only to be released when he equally accidentally stymies a jail break while under the influence of (again accidentally ingested) cocaine - an extremely daring move for the time, when the film code banned depiction of drug use from films. This is perhaps the most poignant part of the film - for the Tramp prefers the security of prison to the vicissitudes of the outside world, with its unfairness and uncertainties. He repeatedly tries to get himself re-imprisoned, even offering to take the fall for Goddard's character, with whom he falls in love and tries to find so-called honest work to provide for. Goddard is a young "gamine", in Hollywood parlance a sort of mischievous young woman living on the edge of society, a grown up street urchin. Like others in the film, she steals not from badness but in order to survive - she and her family are ecstatic when she manages to thieve six bananas from a boat. Likewise, when he is the nightwatchman of a store, Chaplin's character lets some former workmates steal food because they are starving. In sharp contrast, others thrive in these modern times - and both the Gamine and the Tramp have to entertain and serve them in the climax of the film where they work in a restaurant, she as a dancer and he as a singing waiter. This leads to some telling moments as drunken, boorish bourgeoisie cavort around the hardworking staff. The centre-piece is a scene of sheer ingenuity, seemingly taken in a single, continuous shot, showing Chaplin taking a roast duck to a customer across a crowded dance floor in a tour de force imitated hundreds of times since but never yet equalled. The US Library of Congress declared Modern Times as "culturally significant" in 1989, leading to it being given official protection for preservation for future generations and leading to special screenings at a recent Cannes Film Festival. But it is more than a record of its epoch - its portrayal of an exploitative world where people struggle hard to simply survive and where many are denied what others in the same country, same city, even the same street take for granted, has never been so pertinent. While the factories Chaplin lampooned in the USA and Europe are now frequently silent and empty, the goods we consume all too often continue to be made by marginalised workers on dehumanised production lines, where breaks are minimalised luxuries if they even exist. Consider the computer giant Apple Corporation's allegedly prison-like conditions in their oriental factories where the pseudo-virtuous Steve Jobs creamed off so much of his personal fortune from people so desperate that their employer places nets outside windows to prevent frequently made suicide attempts. Chaplin went on to make other films, such as The Great Dictator, which were political in their content, but perhaps not as controversial or challenging to the society he lived and worked in as Modern Times. His exile from America, dreadful though it was, was proof enough of how he was a giant and just how small minded McCarthy and the anti-communists were when they proclaimed liberty as they snuffed it out. In a world where the skew of wealth between rich and poor is far, far worse than it was in 1936, where laws not even contemplated in the Depression era give the police in supposedly democratic states unparallelled powers of arrest over trade unionists and other social activists, and where US citizens are eight times more likely to be killed by a police officer than by a terrorist, Modern Times may be over 80 years old, but remains as fresh and relevant as ever. Ultimately, Chaplin was an optimist - when Goddard's character asks him, "What's the use of trying? ", the Tramp grins as the strains of Smile, composed by Chaplin, begin to play. He replies confidently, "Buck up - never say die! We'll get along." It is the optimism of a better, fairer tomorrow, a tomorrow of humanity and equality. It is a cry from a passionate heart and one that, though made in silence, deserves to be heard as loudly as ever. 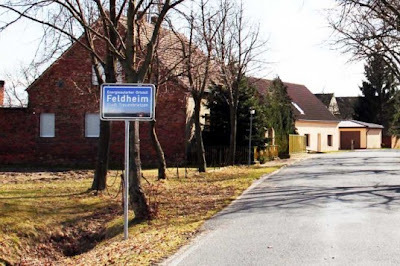 Frozen Britain's Future - Fracking or Feldheim? Outside it is snowing steadily; the birds huddle miserably on the bare branches as the falling flakes cover too quickly the food put out a short time before. Yet again, the TV news revels in making much of cars stuck in drifts and kids sledging in what just a short while ago would have been completely unseasonal weather. 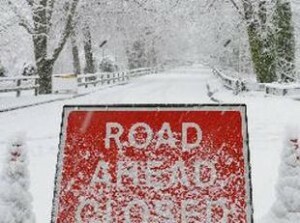 But, after over a decade and a half of virtually no snow at all, Britain has now had three years of bitingly cold temperatures and winters with a vengeance. After some years of children growing up having seen no snow at all, or a light dusting at best, now we are told to expect days and days of frozen weather in spite of yesterday being the first official day of Spring. The cause of this is something foretold for many years by environmental campaigners and Greens - and rather cryptically acknowledged by the Coalition Government a couple of years ago without any official admission - see this post from December 2010. Perhaps not as dramatically as in some scenarios, including the ludicrous one posited by Hollywood in The Day After Tomorrow, the Gulf and Jet Streams have shifted increasingly southwards for more and more prolonged periods, ending the centuries old near-guarantee of mild air from the Mexican Gulf warming Britain throughout the year providing us a 5 degree centigrade temperature increase that our latitude (on a par with much of Scandinavia and Russia) would not otherwise permit. 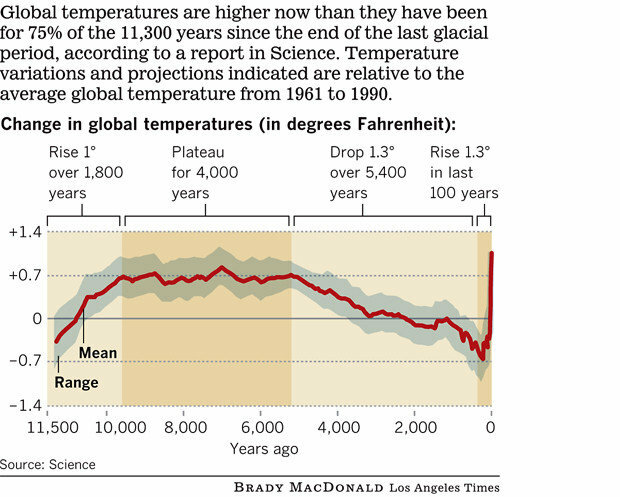 The trigger for this is, ironically, global warming - as the overall temperature of the planet increases, the Arctic ice sheet has begun to recede further and further at speeds much faster than even the most pessimistic predictive scenarios suggested just a few years ago. This has meant that an increasing flow of colder water has poured into the Atlantic and, as cold trumps hot, the Gulf and Jet Streams have shifted increasingly southwards. 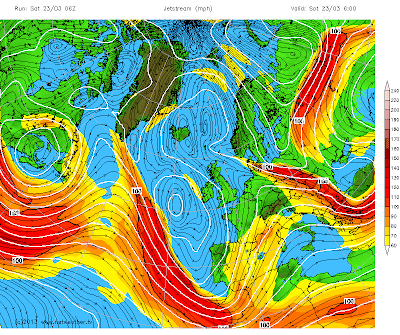 The result will be, as we have seen these last few years, increasingly extreme weather - much warmer summers and much colder winters, heavier rainfall when it happens, prolonged drought when it doesn't and much more powerful gales as cold water falling below warm churns up the air currents above. And so what was predicted for decades and even centuries from now is happening around us. But the Government remains as complacent as ever, even declaring action on global warming to be something for later on given the depth of current economic woes. 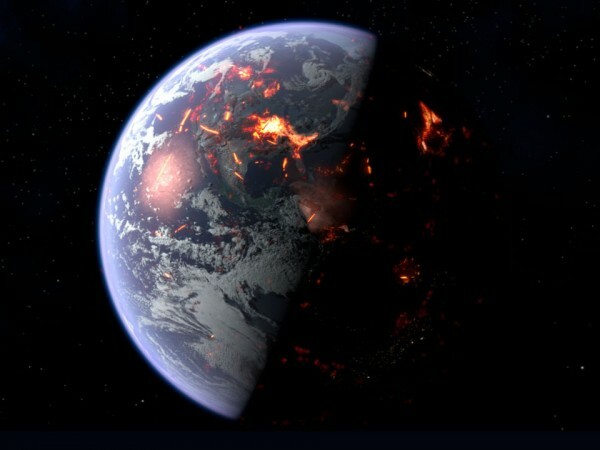 It ignores the very real threat to our survival now manifesting itself ever faster around us and as the window for action closes down it simply turns away and closes the door. And yet all around us is the potential for recovery: like few other countries, Britain has a huge potential for developing and using renewable energy. Particularly wave, hydro and wind power - all of these could be deployed around our country and in the sea off our shores. And developments in photovoltaic technology, such as groundbreaking nanomesh cells, mean that even in our climate, solar panels could produce a substantial part of our energy needs. It is possible - other countries are acting faster; Germany for example is working hard to develop its renewable sector which has more than trebled in supply in the last decade to 20% of energy needs and in a pioneering effort, in May 2012, over 50% of the energy needs of the largest economy in Europe came from solar energy farms alone. This is not only possible - anyone with an even vaguely impartial viewpoint would see that it is essential. Our carbon fuel supplies, as well as damaging the biosphere that allows us to exist, are becoming scarce - there is less oil and gas available from easily exploited sources at a time when demand is growing from emerging economic giants like India, China and Brazil. North Sea oil and gas fields are becoming depleted and the only future sources of carbon fuel nearby are to be had only by either deepwater drilling in the north-west Atlantic using the same dangerous technology as BP's Deepwater Horizon deployed so devastatingly in the Gulf of Mexico, or alternatively using the noxious process of fracking under populated areas of northern England - the recent Blackpool earthquakes standing as chilling reminders of the potential impact of this method of dirty drilling. Continued dependence on carbon fuel leaves us tied to foreign suppliers as well - and vulnerable. A fact that would leave many people with sleepless nights is that Britain rarely has more than three or four days supply of fuel of any sort available (and a similar supply of food much of the time, at least in retail outlets). This week, our gas supplies are down to just 1.4 days - barely 34 hours stand between us and millions going cold in this late winter weather. And set against this are potential problems with the Norwegian pipeline that supplies much of our domestic gas and price hikes of over 100% in the last 6 weeks by Russian and Arab gas suppliers, eager to profit from the need of ordinary people - even to the extent of keeping fully loaded super-tankers at sea, ready to sail to wherever in the world has the highest current price for gas; three Qatari tankers, each with 12 hours national liquefied gas supply on board, are currently heading for British shores. Rationing has become a real possibility, creating cost, discomfort and even danger for people across the country. Just imagine for a moment a Britain supplied 100% by renewables - as Germany is on track to being by 2050 at least in terms of electricity generation. The energy would be virtually limitless in supply, locally sourced, cheaper than now, involve no destructive drilling or mining, generate no pollution and free us from any dependence on overseas energy. Additionally, it would hopefully disentangle us from the wars that our politicians so eagerly send our troops into in order to secure carbon fuel. So why, when it seems so easy, is it not happening? Why are we allowing Germany to leave us in the shade when we have so much potential? Why do we look to carbon-addicted USA as our example when it is so clearly faltering and failing so badly and turning so readily to the gun to secure its energy needs when eminently clean and peaceful sources are available in abundance? and full community energy ownership, meaning consumers pay 30% less. Well, there is another narrative - its not just about energy technology; even more it's about economics and ownership. Germany is not only different in terms of its energy sources. It is also different in terms of who owns them. Over half of the rapidly emerging renewable sector there belongs to individual people rather than to big business (which holds less than a 10% share - with various community and public bodies holding the balance). By contrast in full-on capitalist Britain and the USA, with our so-called Anglo-Saxon neoliberal economic model prizing big business above all else, anything that undermines corporate control of something as valuable and potentially profitable as the energy supply is simply not to be contemplated - one reason the British Conservative-Liberal Democrat Coalition abolished the community renewable energy feedback tariff and other schemes that supported small scale ownership of renewable energy. As we see with the current gas price hike, scarce energy is profitable energy - so don't expect the free market to deliver big scale investment in renewables any time this side of Doomsday. As Obama's America fracks itself and our world into oblivion, Britain joins in a show of bizarre macho-market pomposity that eschews anything European or mildly communitarian at an ultimately dreadful cost to all of us. The biting winds of March may yet bring our carbon addiction into a painfully clearer perspective. When the thaw comes in due course, we can only hope that it melts frozen minds as well as freeing the green buds to spring finally into the life that humanity is increasingly putting at risk. We are raised with the language of competition and conflict. From the cradle we are told we need to look out for ourselves, that it is a tough world, that losers and winners are just the way it is. The other night I listened to a senior liberal politician laud inequality as not only inevitable under capitalism but as "a virtue". Like many, he argued that capitalism is the only viable form of economics - one that's recent travails mean it has to be saved from itself; but, ultimately, there is no alternative given what we are told is human nature - we are naturally acquisitive, inherently competitive. An economic form that does not recognise and foster this trait of dog-eat-dog is, in effect, not just bound to be inefficient, but positively inhumane. Our creativity, by this argument, is spurred only by the possibility (however elusive in reality) to be rewarded financially for our efforts in abundance. Never mind so many are poor and on marginal contracts, or unemployed - that's because they are skivers, indolents who scripted their own downfall. It is a harsh, cold view of the world and of Nature. We are, at the end of the day, just animals - we temper our predatory nature, sanctified by the Fall from Grace and Eden, merely to avoid chaos. So we must have a system that channels the destructive spark within humans so that they can trade and earn, and exploit and grow rich; if they lose out, then the mythology claims that with a bit of hard work and luck, this time next year, we'll all be millionaires. Except of course, we won't be. Because our system rests on inequality - ever sharper and more obscene inequality. But legalised; embedded in our cultural psyche and reinforced with all the violence in the hands of the corporately owned Capitalist State. And yet how flawed this tragic, narrow view is of our species - and of so many others. Look at history and you will see hundreds of thousands of years of human co-operation: whether from the early cave communities, working with each other to hunt, or, 11,000 years ago, the first farmers. Hierarchy almost certainly appeared only when we worked together so well that agriculture began to provide surpluses, freeing some from labour first to be perhaps soldier-guards and maybe also priests. Consequently, a new set of castes, or social classes emerged - warriors and clergy who, by means of physical force and superstition, between them dominated so many societies for millenia. Absorbing the mercantilists who emerged over the last four centuries into their power structure, they have ultimately remained there ever since, selling their surpluses and gradually accumulating more and more of the world's wealth into their greedy, grasping hands. But it is not inevitable - no matter what Church and State tell you. Capitalism has existed for a blink of an eye in human history: at source, we are co-operative, not competitive. 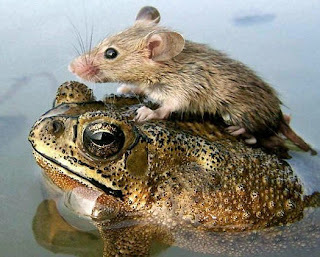 Ultimately, we look out for each other, sometimes even giving our lives to help others. Barring the odd psychopath, we are social creatures with an inherent sense of justice and fairness. Likewise,and again contrary to the received wisdom, morality, concepts of fairness and empathy, also exist in other species - as the video below shows. Dogs, it seems, do not eat each other - rather, when they see their family or pack, they release the same hormones as humans do when we feel or express love. And, as you will see, some monkeys will refuse to eat unless they know all of their fellow simians are being fed at the same time, and even the same quality of food. Even between species of animals, there is empathy - watch the second video about dolphins saving a dog from drowning and you can see that Nature is not always the harsh and vengeful force our merchant bankers use to excuse their pillaging of the common wealth. So, before we let capitalism and its creed of greed take our species and our planet to the grave in the name of its supposedly being irreplaceable, take a good look at what humans really are. The truth is, we are not anything like as bad as these robber-barons eagerly tell us. In fact, we're better than them, and better than their rotten, corrupt, inhumane system that commodifies everything, and everyone, but values nothing. And, if we stop listening to the siren swansong of the venture vultures, we can still make the world we want. Hugo Chavez was a controversial and much maligned character. Yet in spite of all the attempts by domestic rightwing and wealthy enemies and supposedly freedom-loving "liberal" states like Obama's USA to derail him, President Chavez won election after election certificated as free and fair by foreign observers such as the Carter Institute. And unlike many who have risen to power in his own and other countries, he stuck to his policies of redistributing wealth from the immensely rich to the poor and dispossessed, with those in poverty falling from 70% of the population to 23% during his terms of office. Tens of millions of ordinary Venezuelans have seen their lives transformed for the better by the socialist Bolivarian movement not only materially, but in terms of their dignity and political power. He was the first of the new wave of left wing governments that have swept across Latin America, bringing democracy not only to the ballot box, but to the landless and the slums and factories as well - and that is why he was so hated, despised and assaulted by the rich and by the West. A champion of the people, a man of his word. He will be remembered and his legacy will live on. 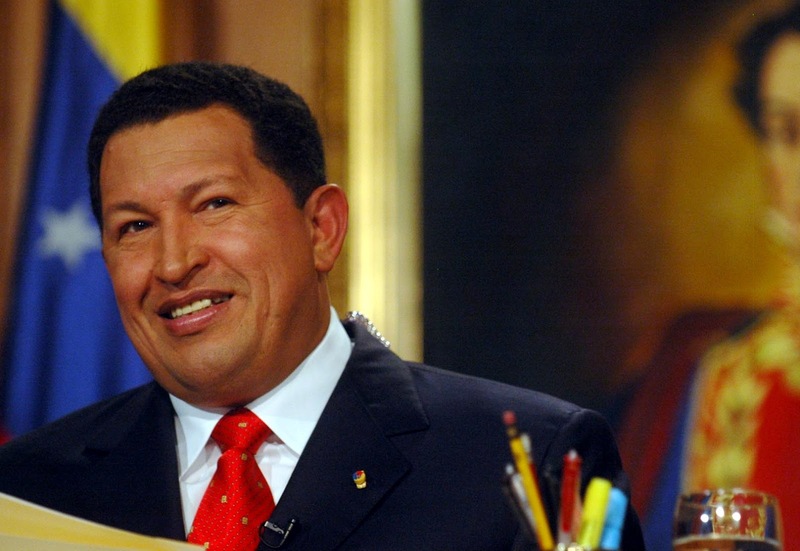 Rest In Peace, El Comandante Hugo Chavez, 28 July 1954 – 5 March 2013. If much of the Western media is to believed, I write this column from a country brutalised by an absurd tinpot caudillo, Hugo Chavez, who routinely jails any journalist or politician with the temerity to speak out against his tyranny. According to Toby Young, Venezuela is ruled by a “Marxist tyrant” and a “Communist dictator”. Chavez’s defeated opponent in Sunday’s presidential elections, Henrique Capriles, was portrayed by contrast as an inspiring, dynamic democrat determined to end Venezuela’s failed socialist experiment and open the country to much-needed foreign investment. Venezuela is a funny sort of “dictatorship”. The private media enjoys a 90 per cent audience share and routinely pump out vitriolic anti-Chavez propaganda, pro-opposition areas are plastered with billboards featuring Capriles’ smiling face, and jubilant anti-Chavez rallies are a regular event across the country. Venezuelans went to the polls on Sunday for the 15th time since Hugo Chavez was first elected in 1999: all of those previous elections were judged as free by international observers, including ex-US President Jimmy Carter, who described the country’s election process as “the best in the world”. When Chavez lost a constitutional referendum in 2007, he accepted the result. Before his massive registration drives, many poor people could not vote. In stark contrast to most Western democracies, over 80 per cent of Venezuelans turned out to vote in Sunday’s presidential elections. The USA sells itself, literally, as the paragon of capitalist opportunity. Its homespun myth is that with enough effort and a bit of savvy, anyone can make it big. And on this basis, its has not only eschewed socialism, but even legislated against it and banned those who advocate it periodically, tainting them as pathologically unAmerican (ironically simply inverting the old Soviet method of stigmatising dissidents as mentally ill). What little regulation tempered US capitalism after its collapse in the 1930s Depression was largely done away with by Reagan and his successors and, in spite of Republicans' vituperative demonising of Barak Obama as some communistic demon, the growth of inequality in the USA has now reached breathtaking proportions: for example, the average worker has to work for a month to earn what the average Chief Executive earns in one hour; and the average Chief Executive is still miles off the levels of wealth enjoyed by the richest one per cent.